← Team Walmart Storms Myrtle Beach! 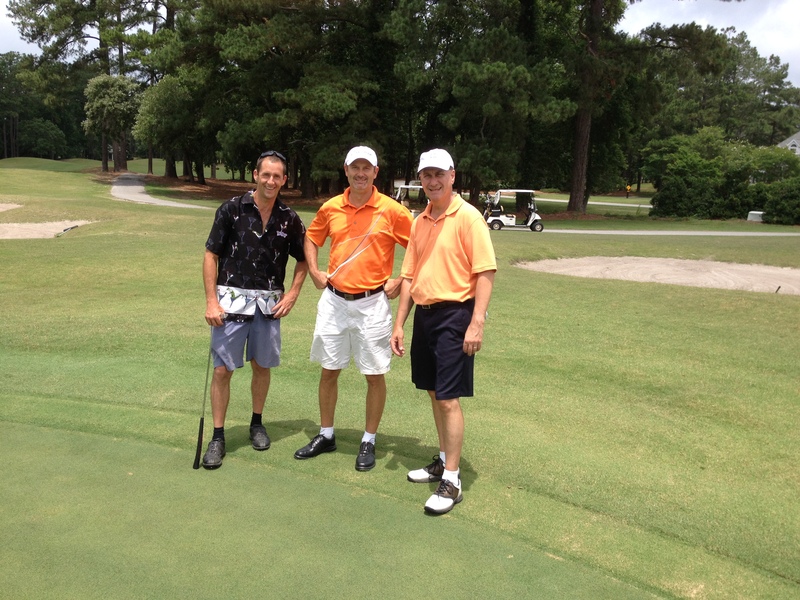 My travel group played Lion’s Paw on Monday, June 8, 2014 and Panther’s Run the day after on a recent trip to Myrtle Beach. These are two of the four Big Cat courses at Ocean Ridge Plantation in Ocean Isle Beach, NC. We’ll review them together because they are sister courses and play out of the same clubhouse. 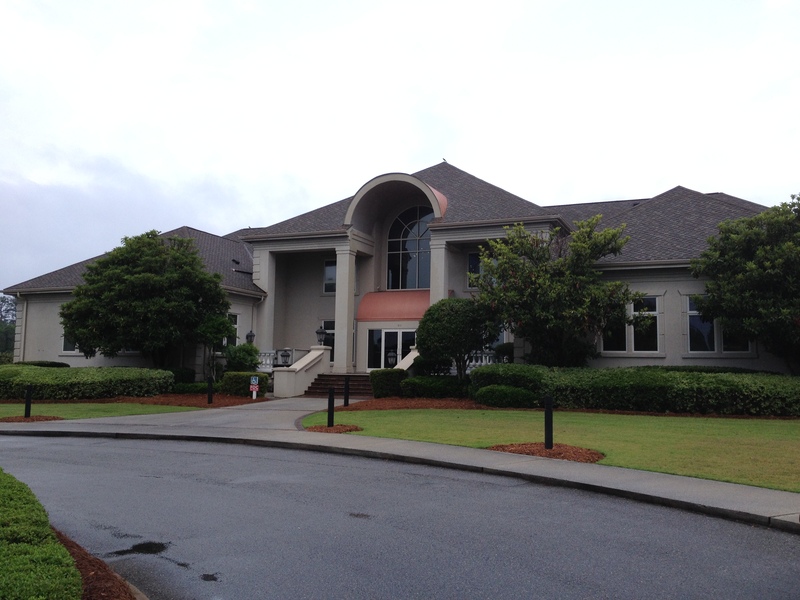 Tiger’s Eye is the top play of the Big Cats group and is run from a separate clubhouse across the street, but as we learned, the golf operations are distinctly different. 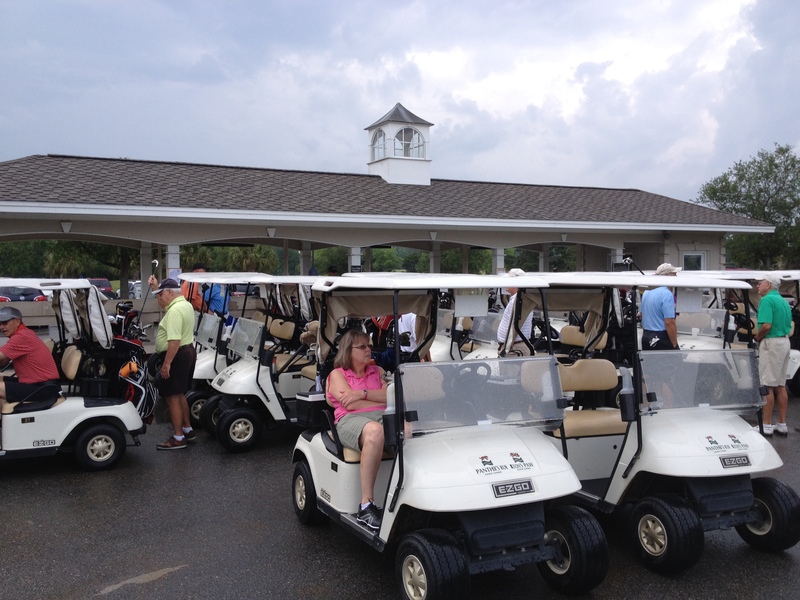 On Monday, we arrived at Lion’s Paw as they were preparing for a ladies tournament on the front nine. Our two foursomes were scheduled to go off #10 and we were thankful for that. The bag drop and staging area is rather small and was extremely congested and chaotic. Play for both courses is launched from the same constricted space. Due to an airline luggage snafu, four guys in our group were playing with rental clubs, which the golf staff had hastily assembled. They charged $40 per set for the rentals which were a mediocre mishmash of late year model irons and metal woods. Nobody in our group was impressed with the offerings and the guys renting actually played several shots using clubs from the rest of our bags which was a little disruptive for everyone. Given the short notice, I was thankful that the staff could even assemble the sets to allow us to play together. Both courses share a medium size driving range with Tiger’s Eye , and the range is located at the far side of the parking lot across the road. Unfortunately you aren’t allowed to ride your cart to the range from Lion’s/Panthers, but you are from Tiger’s. Also, the shop charged $3.00 for balls from Lion’s/Panthers, but Tiger’s extended complimentary range privileges. We thought this was strange given the courses were under the same management company. There is a small pitching green with one flag and a practice bunker next to the range and two putting greens next to the Lion’s / Panther’s clubhouse. I felt it would have been beneficial to have a chipping green that allowed your shots to run out, but clearly there was no space for one. There was good turf to hit off at the range but the quality of the balls was suspect. On the course, we found Lion’s Paw to be in good condition, with the Bermuda greens rolling medium fast and smooth. A couple of the tee boxes were crowned which was a bit odd but didn’t affect playability. The course is fairly open off the tee and weaves its way through a residential area with several nice homes nearby, but you don’t have a lot of privacy. A couple of the par-3 holes were memorable for the contouring, water carries, and bordering with oyster shells, but you weren’t struck by anything overtly beautiful or difficult. Lion’s Paw is just a solid, well maintained nondescript golf course. The biggest appeal for the enthusiast is the ample opportunities for afternoon replay. With the four Big Cats in close proximity, we chose Tiger’s Eye for the afternoon and at $45, found it a tremendous value and a tremendous golfing experience. The replay rate at Lion’s and Panther’s is $35 and we actually were given the $35 rate to replay Tiger’s later in the week after they had started fairway aeration. 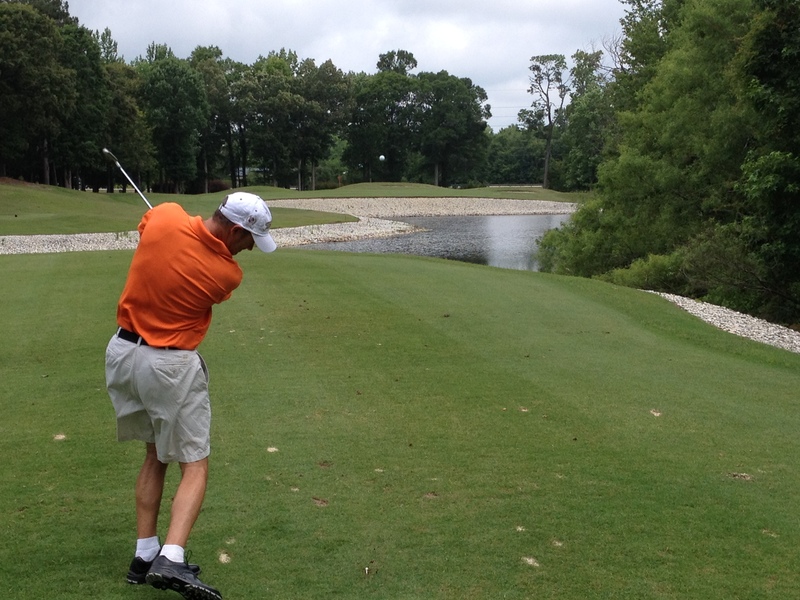 For the record, at Lion’s Paw, I had a 7-over par 79 from the white tees which were playing 6,457 yards. 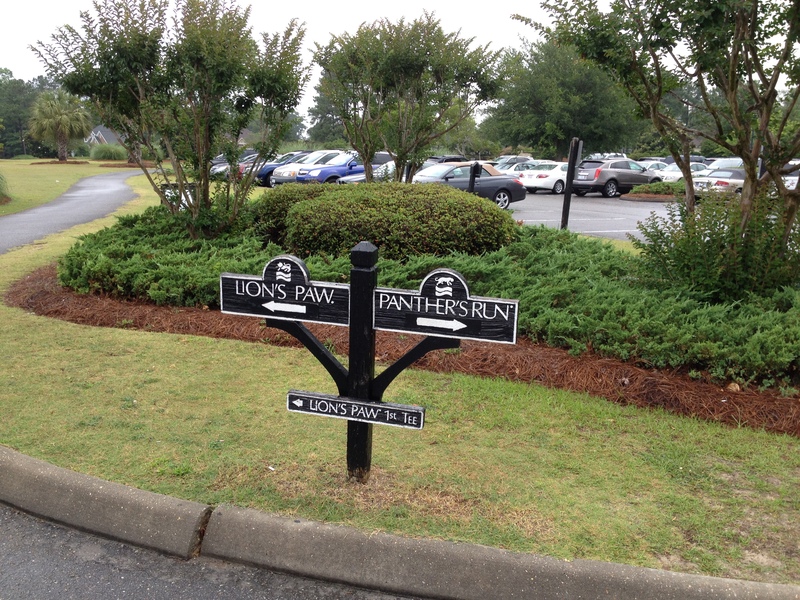 Tuesday we played Panther’s Run and had a decidedly different experience. There was no tournament, the course was fairly empty, and everything seemed more organized and less rushed. Everyone in our group was now playing with their own equipment and the day was more enjoyable. Panther’s Run is more of a traditional parkland style course that meanders through tall trees with the holes being better framed than Lion’s Paw. I preferred this layout, although the greens were putting a bit slower, a few tee boxes were a little chewed up, and the fairways were starting to brown out. Again, nothing affected playability as overall conditioning was pretty good. Of note are the back to front sloping greens. Several of the pins were cut in the back along ridges that dropped down at the rear of the greens. Long two putts were difficult because if you charged these back flags the drop offs would roll out significantly. I took 36 putts and thee-jacked three times. Playing for the middle of the greens with back flags was the way to go. I shot a 9-over 81 from the blue tees which were playing at 6,706 yards. A couple of nitpicking notes: When we played the par-3 11th, one of the rangers was sitting in a cart just behind the tee box talking on a cellphone and seemed completely unaware of his surroundings or that people were playing golf nearby. It would have been considerate if he could have held down the chatter. Also one of our group was perturbed by an experience in the pro shop while in line making a purchase. The person behind the counter was interrupted by a club member with an inquiry about another matter and immediately discontinued their service on the transaction at hand to cater to the member’s request. Otherwise, we had a fairly positive golfing experience at Panther’s Run. 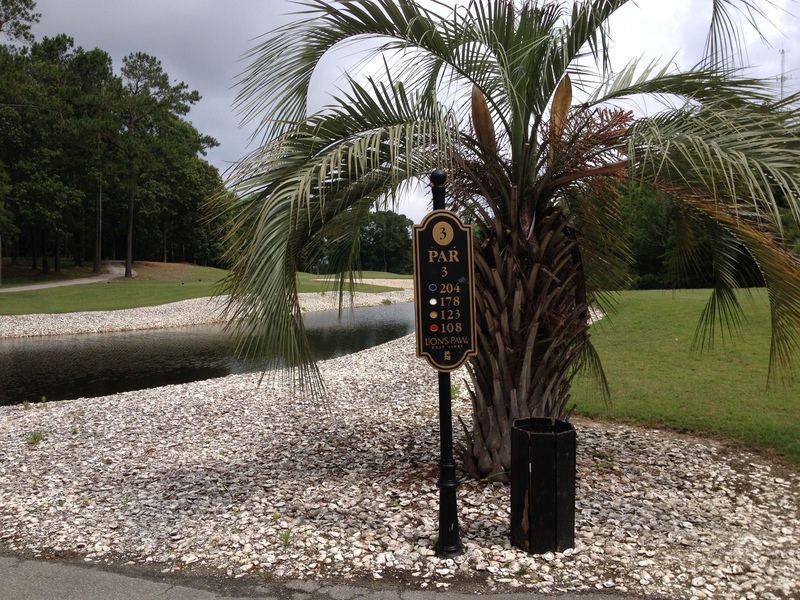 If you are traveling to the Myrtle Beach area and want to play the Big Cats, Tiger’s Eye is your course if you only have time for one round. Lion’s and Panther’s are enjoyable plays as well. 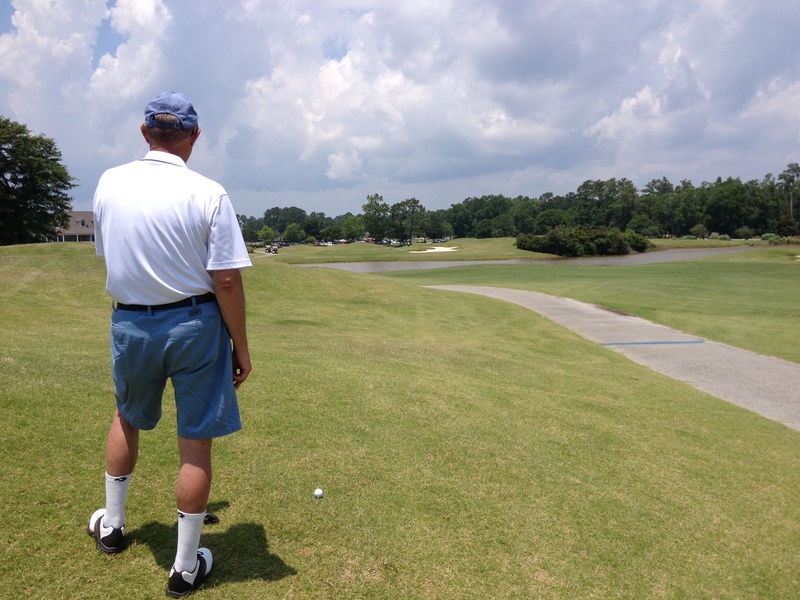 This entry was posted in Course Reviews, Myrtle Beach, North Carolina, Travel and tagged Big Cats, course reviews, Golf, Lion's Paw, Myrtle Beach, Ocean Ridge Plantation, Panther's Run, sports, Tiger's Eye, travel. Bookmark the permalink. Overall, it sounds like you had a great time on the Cat Courses. Your scores were very good given the distance, equipment and never playing the courses before. It is interesting how all the courses seem to be run differently and yet own by the same group. Unity of service is usually a key component to having people return. Thanks. I have been to Myrtle Beach 25 years ago, but it is time for another trip.